Lynn A. Johnson earned her Bachelor of Science in Business Administration at Southwest State University in Marshall, Minnesota in 1992. She then went to law school and graduated in 1995 with a J.D. from William Mitchell College of Law. While in law school, she worked as a law clerk for St. Paul Fire & Marine Company in St. Paul and for the Honorable Timothy Connell and David E. Christensen in the summer of 1995. After passing the bar, she opened an office in her hometown of Slayton, Minnesota in 1996. Since then she has had a general practice law firm. Ms. Johnson also has 10 years of public service as an assistant State Public Defender serving indigent clients in hundreds of criminal defense cases. She's represented individuals charged with everything from DWI to sexual assault. In her private practice she represents many different types of clients including farm cases, real estate and divorce, involving very extensive custody cases. She has successfully represented several personal injury cases with positive results. The firm has an enormous network of resources which benefit and/or assist her clients. She has planned numerous estates preparing trusts, wills and probate assets. She also speaks on the the topic of estate planning. Attorney Johnson is a past President and Vice President of the 13th District Bar Association. She is very active in the community and has taught and coached Mock Trials as well as participated as a Judge. 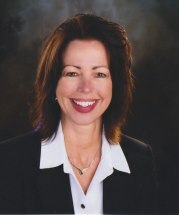 She is currently on the Murray County Medical Center Board and has served as a board member of the following organizations: Hospice of Murray County for six years; Murray County DAC Board; past Board member for 8 years; President of the Chamber of Commerce and past board member for 8 years; Lake Shetek Regional Clinic Board.